Ecommerce Platforms: We assess the best places to sell your products online in China, including Tmall and JD. Cost Calculation: Platform setup fees, trademark costs, storage & delivery, competitor pricing analysis & more. Partner Network: Get introduced to leading ecommerce agents, shipping & warehousing, trademarking & product testing service providers. Access the world’s biggest online market. Find importers for your products in China. Comply with CIQ and other regulations. Find wholesale buyers in Asia. Marcus Sohlberg is a Swedish Engineer and previously worked as a Sales Manager within the Automotive industry in Shanghai. He has a long experience within Sales, particularly in the Automotive industry, and speaks Swedish, English and Mandarin fluently. Fredrik Gronkvist is a Swedish Entrepreneur and co-founder of Scandin Asian Enterprise, in Shanghai and Chinaimportal.com. He has contributed to hundreds of articles and been featured on Chinaimportal, Global Sources, Alibaba, Quartz Magazine, Bloomberg and more. Ivan Malloci holds a Master’s degree in Electronic engineering and a Ph.D. in Control Systems. Previously a researcher at Zhejiang University, Hangzhou, China. He’s the Co-Founder of Chinaimportal.com. We target any company or individual, interested in B2C cross border ecommerce sales to Mainland China. Where are your customers based? So far, all our customers are based in the United States, Europe and Australia. How would you describe your average customer? Our customers tend to be small to medium sized manufacturers, brands and wholesalers, looking to sell B2C to consumers in Mainland China. In almost all cases, they are interested in cross border ecommerce, which means that they ship products from a warehouse in their own country, or from a fulfillment center in Hong Kong S.A.R, to end customers in Mainland China. Our customers also tend to be relatively experienced exporters, but without any previous experience selling into Mainland China. Is the Starter Package an all-in-one solution for exporting to China? No. 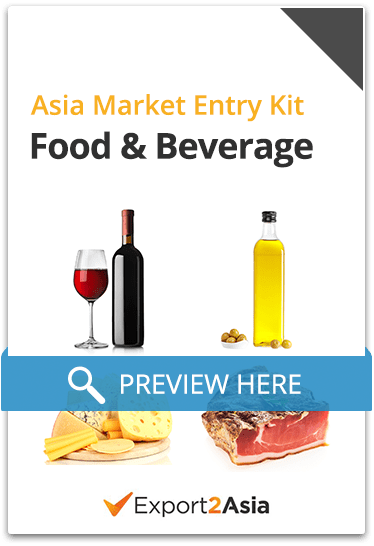 The Starter Package is the first step, that can help you understand the process, costs and requirements when selling to Mainland China. However, you will need to budget for shipping costs, lab testing costs and marketing / ecommerce platform fees. How long does it take before the report is delivered? The total turn around is normally around 12 – 15 working days, from the day we complete the initial phone call. Notice that additional revisions may be required. What If I am not satisfied with the report? If you are not satisfied with the report, we will schedule another 1 on 1 call, to find out the reasons, and remake the report shortly after. We will always do what we can do make sure that we find a pathway that works for you and your business. However, we can only present information based on actual market conditions. Mainland China is a highly regulated country, with relatively high barriers to entry. As such, we cannot offer any refunds or compensation in case the customer is disappointed by the results provided in the report – be that complex regulations, restricted access to ecommerce platforms or cost related issues. Do you have any money back guarantee? While we do remake the report if you are not satisfied, we don’t offer a money back guarantee – unless you cancel the service before the initial phone call. Notice that additional updates may be required after the report is delivered. How can you guarantee that the information is accurate? The short answer is that we cannot guarantee that the information in the report, or information provided by email or phone, is accurate or even up to date. 1. This information provided in this report is provided based on third party service providers and official sources. This information may be incorrect or outdated. 2. China, and other developing countries in Asia, are changing their regulations all the time. Further, developing countries are not transparent, and changes are often heavy handed and implemented without prior notice. This will not change for a long time to come. 3. Product regulations, customs rules and prices are subject to frequent change. Further, product regulations and customs rules are enforced arbitrarily. There are no guarantees. Why should we buy your service? We help you gather then information you need to explore the potential in selling cross border to Mainland China. You can hire people to do the same research. However, given that we have both English and Chinese speaking personel, and access to a wide network that covers regulations, logistics, ecommerce and payment options – we can likely deliver the same result faster and for a fraction of the cost compared to managing it in house. That said, we cannot guarantee that the information we provide is consistent, up to date or even accurate. In the end, we provide the groundwork, but you will need actively test the supply chain ‘in action’ to see how the process will play out in reality. Can you help us with shipping, customs clearance and lab testing? Notice that these services are not provided by us, but third party service providers. Our terms of service is not applicable to any service provided by other service providers. Can I pay with my Visa or MasterCard? Yes, we offer credit card payments through PayPal or Stripe. Customers based in certain countries may be required to create a PayPal account in order to make a Credit Card transaction. This is free and only takes a moment. You just need to add your email address and agree with Paypal Terms of Service. With Stripe, you don’t need to create an account. Yes, you can pay with your balance, bank account or credit card through PayPal. Do you offer a safe payment method? Yes, all payments are processed by PayPal or Stripe, which use an SSL certificate to encrypt your data. Will I receive an invoice for my company? Yes, it’s delivered together with the payment confirmation email. Where can I find your Terms of Service? Follow this link to read our Terms of Service.